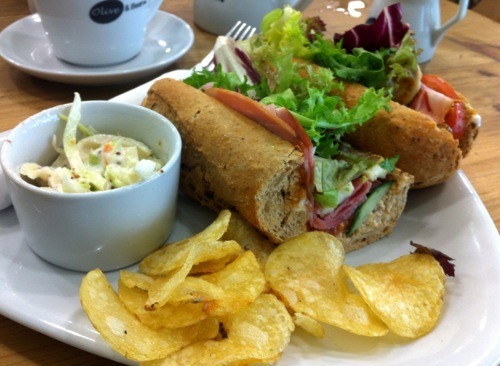 Had a late afternoon jaunt to Olive & Bean this week for a quick sandwich – honey roast ham, grilled halloumi cheese and mango chutney granary baguette, with kettle chips and home made coleslaw (£5.99). The sandwiches may be a slightly pricey, but they are very good. Go and check them out on Clayton Street – their cakes are massive and tasty as well!